GlossyBox Cyber Monday Deal – 50% Off December Box With Subscription – 3 Hours Only! GlossyBox has a Cyber Monday Deal! Now through 11/28 5:59 pm ET, get 50% off the December Box when you buy a November box! No coupon code necessary, bonus will be added automatically in checkout. Full details:Offer valid through November 28th, 2016, 5:59 pm ET. Available while supplies last. New plans will begin the date they are created and cannot be combined with an existing subscription/order. Apply code in the Enter Promotion Code section at checkout. If code does not apply successfully before checkout, it cannot be added at a later time. One code per customer; cannot be combined with other codes/offers/promotions. Not available for Canadian residents. The November box was poo. I think the gilt city deal is the reason why their boxes are going downhill. If the consumer is paying $8.50 a box then glossybox box is probably getting $4.25 a box. They then in turn would still have to pay for packaging and shipping. 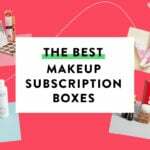 That would leave glossybox only $2 tops to spend on the products. Hence the reason for sub par curation that everyone keeps complaining about. I think if they want to stick with their $21 price point, they better concentrate on curation and quit leaving themselves $2 to spend on the curation per box. Somethings gotta give. I agree with you. I think they actually lost money from those Gilt City boxes. Everyone wants it for nothing, then wants to complain that the box is not good. Go figure! I got the Gilt City deal last year and then got an extra box with my Glossydots (November). I got a random phone call from Glossybox last night but couldn’t take the call. Instead of saying they would try another time (or asking when might be a better time), they just got off the phone. I wonder if they are pushing reps to call and ask people to resub. Oooh, is that the first time we’ve seen the December box? It’s pretty! All these Glossybox deals are underwhelming. Stop nickeling and diming us! Give me another 2016 Gilt City deal for $8.50 per box for a whole year — then I will hit the button. I think we beauty subscription addicts are really spoiled. ( Myself included) Once we get a good deal, even if it means glossybox loses money, we don’t care. We just want what we want!